Kyality: a blog about music, movies, tv, cars and design: Yowzer. So, on the way home today, it happened. 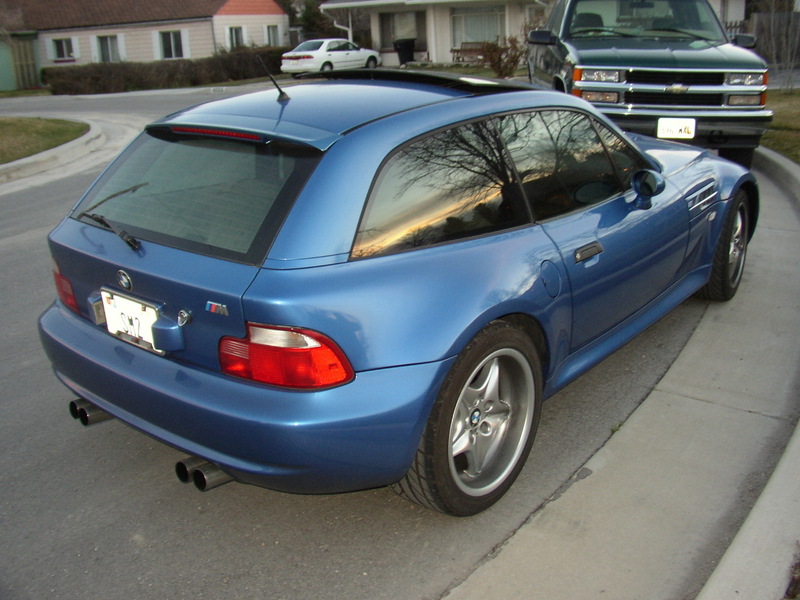 I saw my first 2007 BMW ///M Coupe in person. For those of you who don't know, that car is the re-release of the car I currently roll in. It was black, and no joke, my jaw literally dropped. Then I saw the goober who was driving the thing—yug. And it hit me, do I look like THAT when I'm driving my car—am I a pompous cool guy? I FEEL cool in my car. I love driving it. But when it all boils down to it, is it me? Do I look like a jerk in the thing? OR, do I maybe, sorta, just seen like the kinda guy who just happens to love sporty German cars and maybe got a smokin' deal and maybe won't show off unless he's really provoked? Maybe? Do you really want to know? Can you handle the truth? Well, can you?